Each year Lake Zurich High School hosts a Charity Bash that raises money for a non-profit organization. 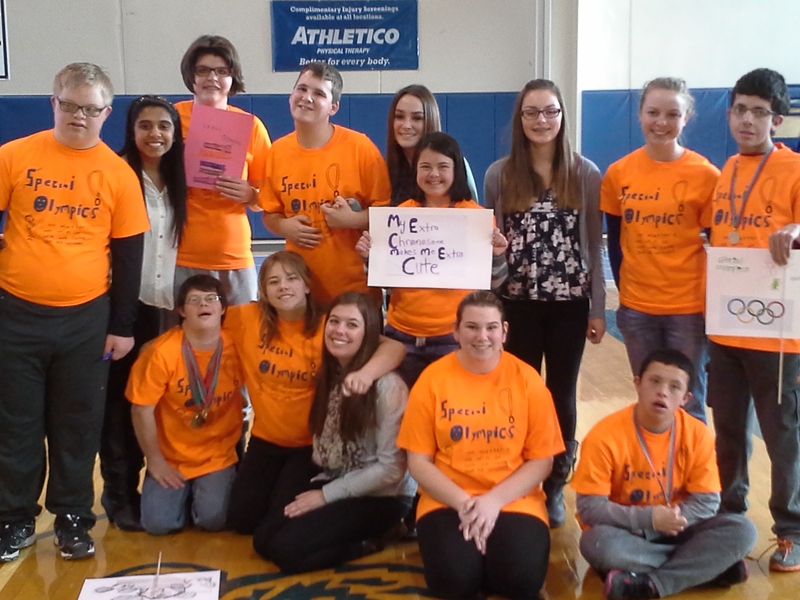 This year’s organization was Special Olympics Illinois. Not only is Lake Zurich High School a competing agency, it is involved in multiple ways throughout the entire year and one of Northeastern/Area 13’s biggest supporters. 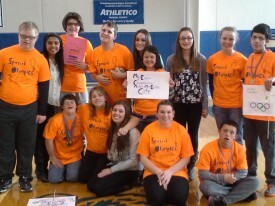 Lake Zurich High School hosts the annual Spring Games each year and a handful of other events as needed. The students are involved with the SNAP program, which is an after-school group of peers and Special Olympics athletes who work together on various activities. The faculty and staff support the school’s efforts in any way possible including Assistant Principal Ryan Rubenstein, who leads the committee on Spring Games, and Varsity Girls Basketball Coach Christopher Bennett, who was the lead staff on Charity Bash, and coordinating volunteers for the Special Olympics Illinois Basketball competition. Special Olympics Illinois Board Member Tom Thompson’s daughter, Allie, took the lead on getting SOILL as the schools’s Charity for 2014 since it holds a special place in her heart. Her brother, Dylan, is a Special Olympics athlete and has been competing for years. Allie has been volunteering, attending events and helping in any way she can to make sure not only Dylan, but all athletes, have a memorable experience. This year, the Charity Bash raised $23,156! The Charity Bash lasts two weeks with a variety of activities the students can participate in to raise funds. There was a Dodgeball and Badminton Tournament, silent auction items and a Kick-Off Assembly to get the students excited. Global Messenger Garrett Anderson and Lake Zurich High School Alumni spoke to the students on his experiences and importance of Special Olympics in his life. View a video that the students created for the Assembly. Special Olympics Illinois would like to thank the entire student body and faculty of Lake Zurich High School for their continued support and help for many years to come.